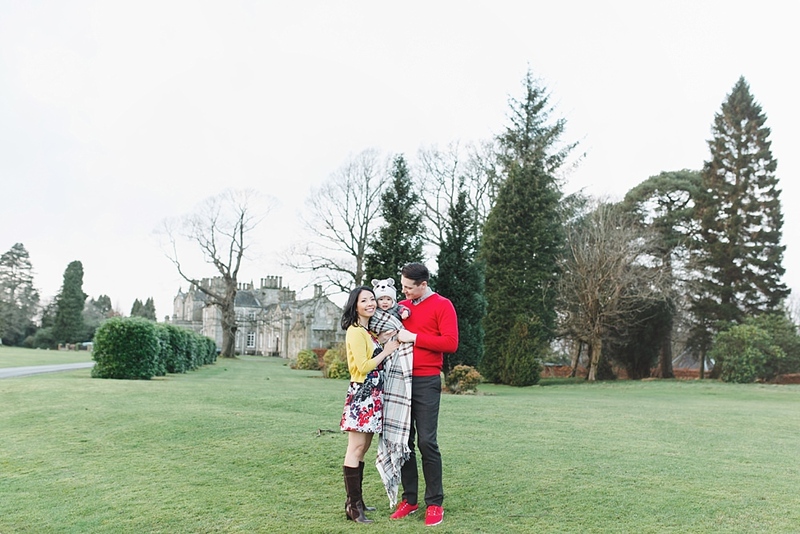 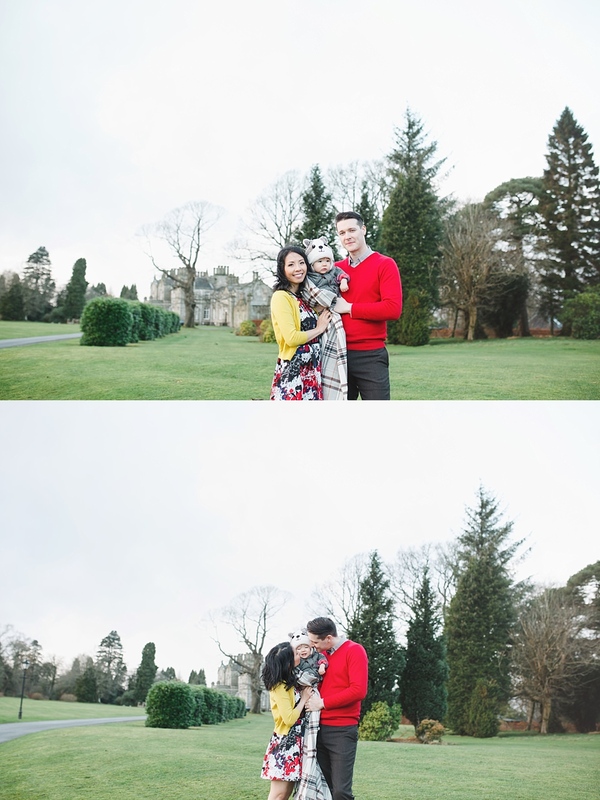 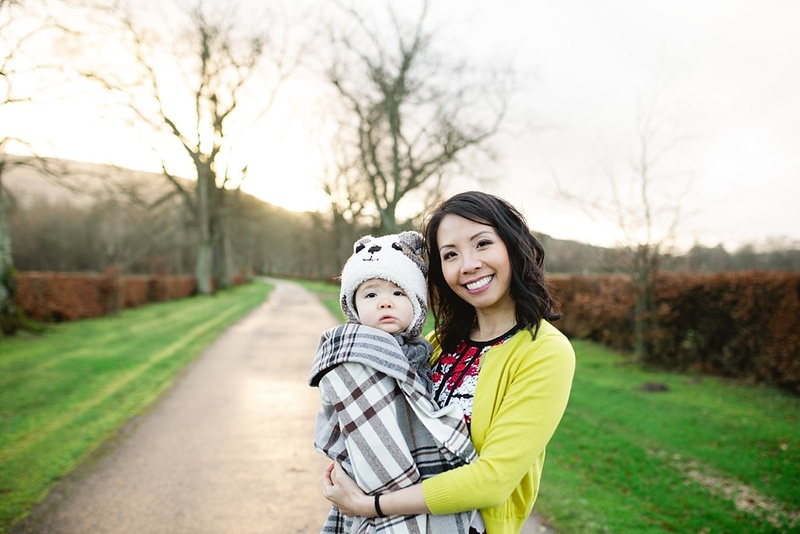 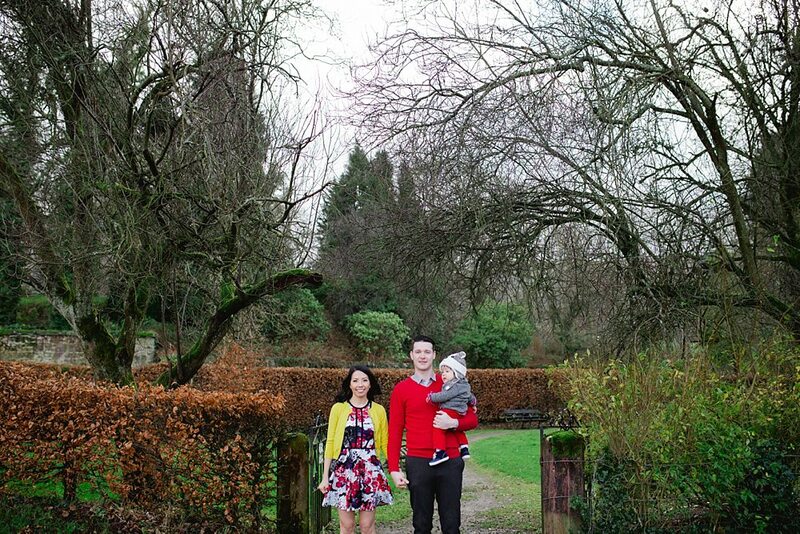 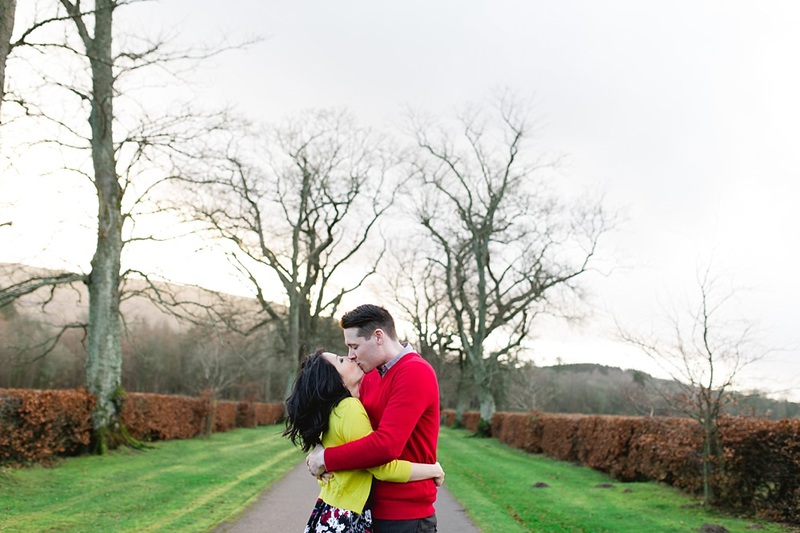 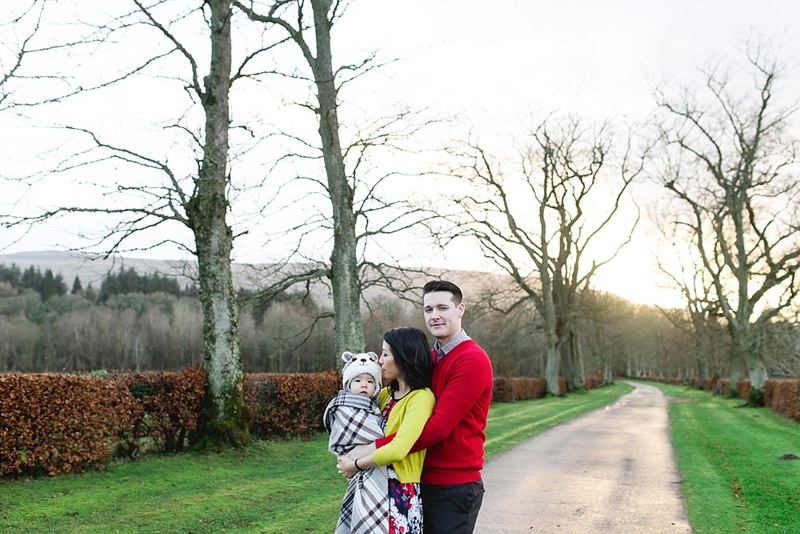 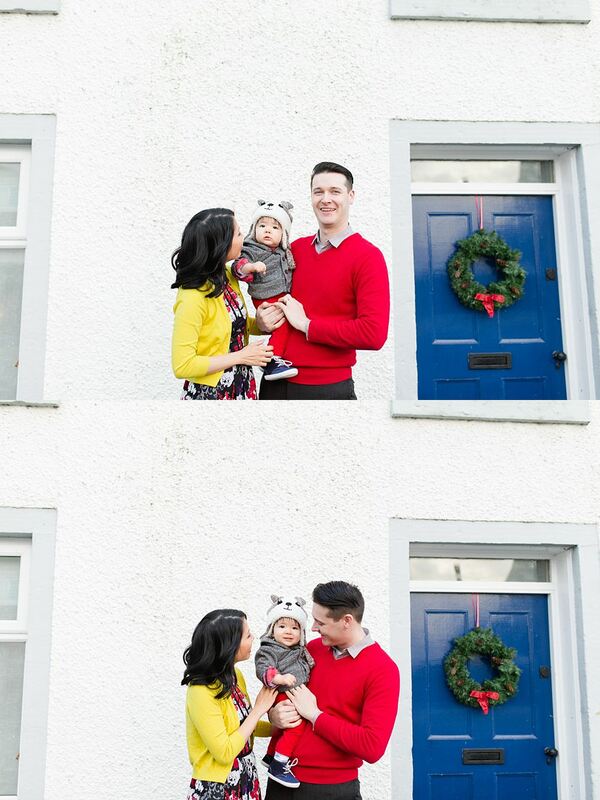 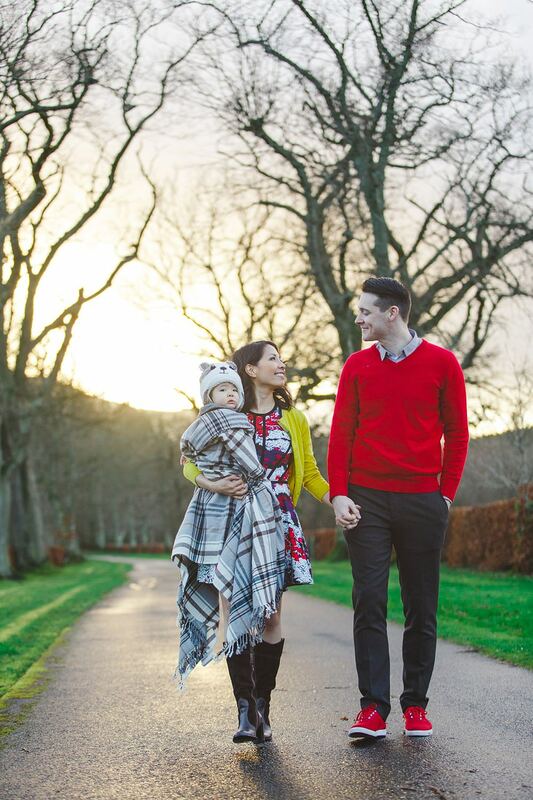 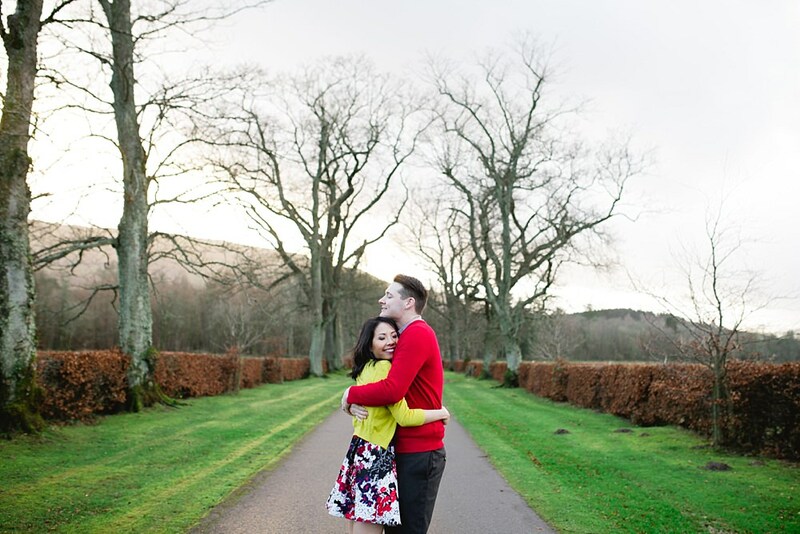 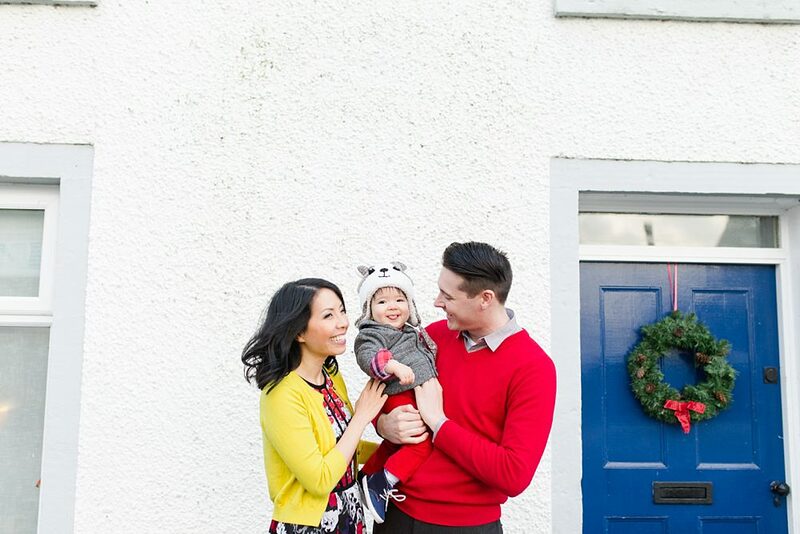 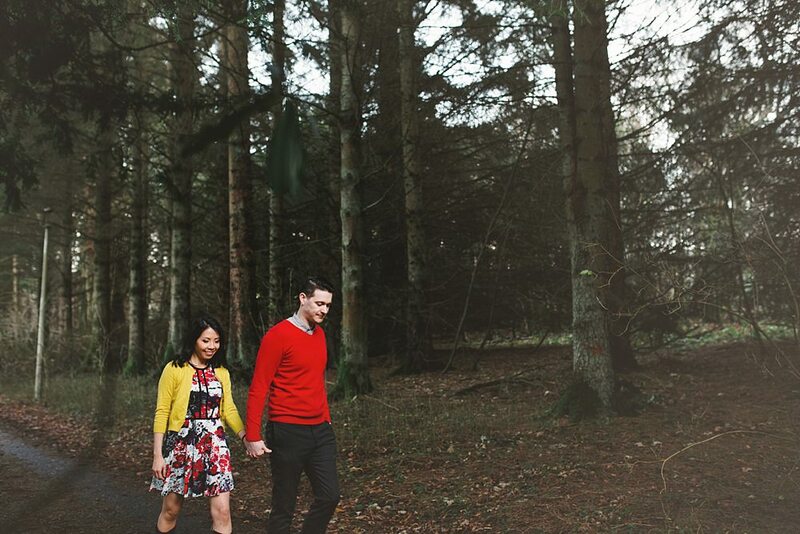 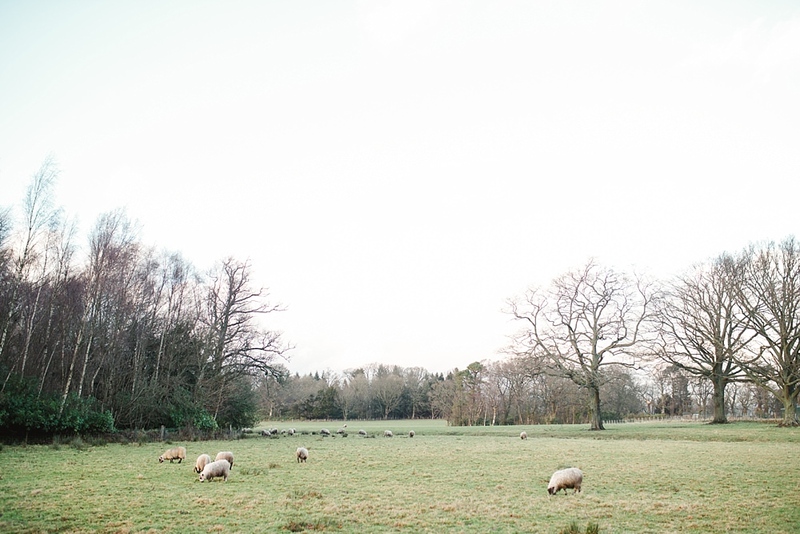 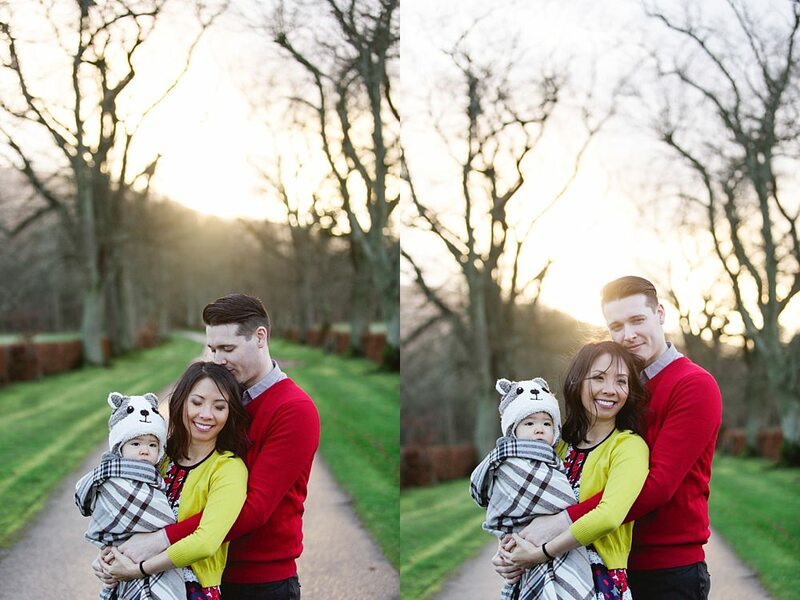 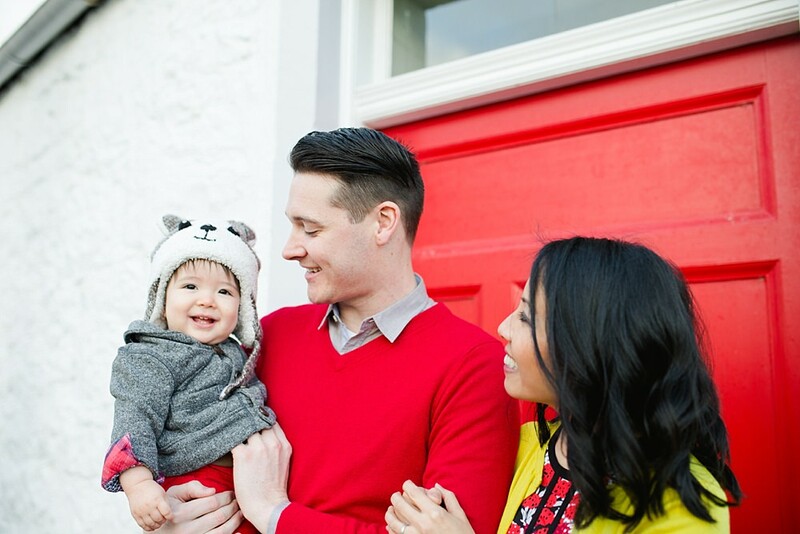 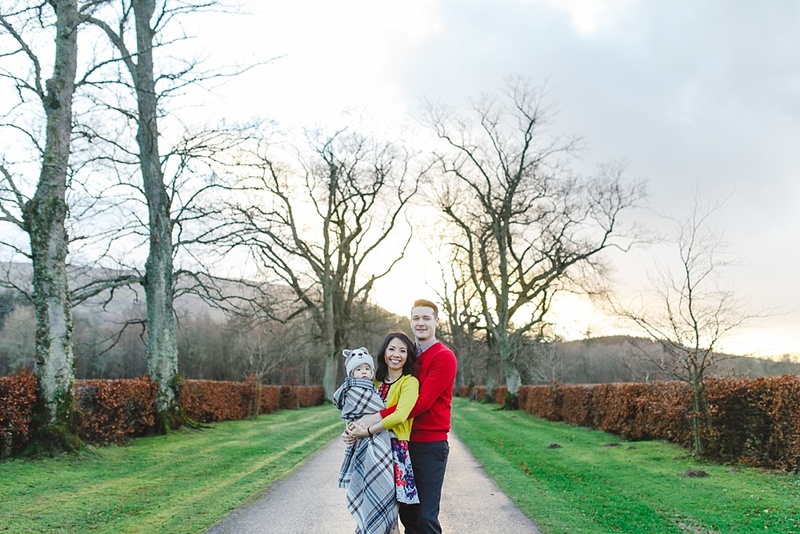 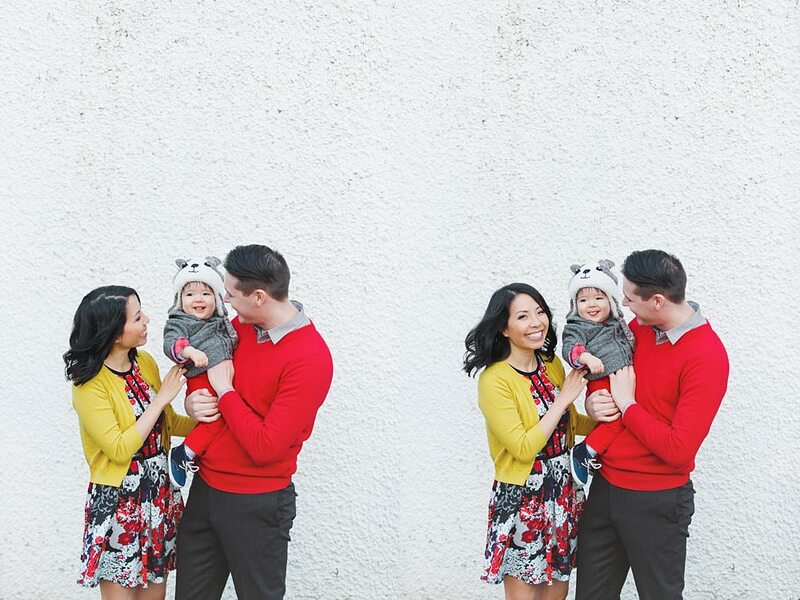 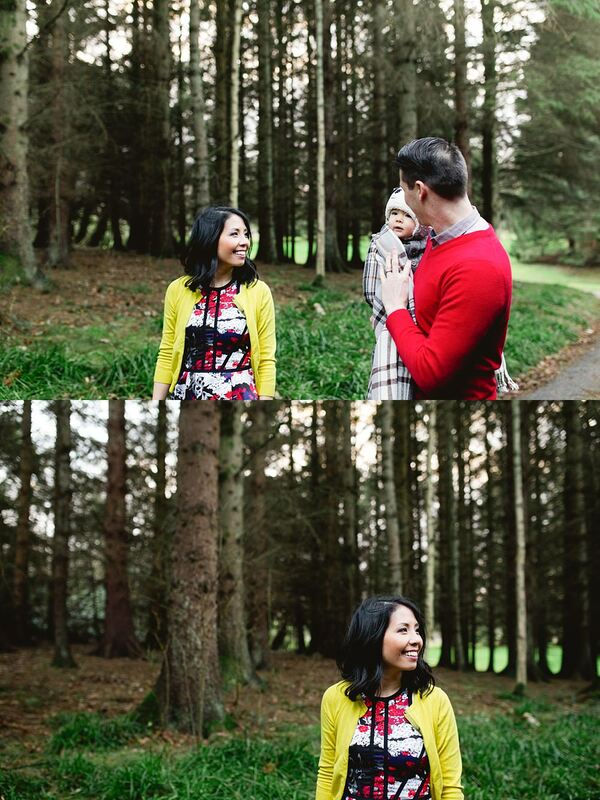 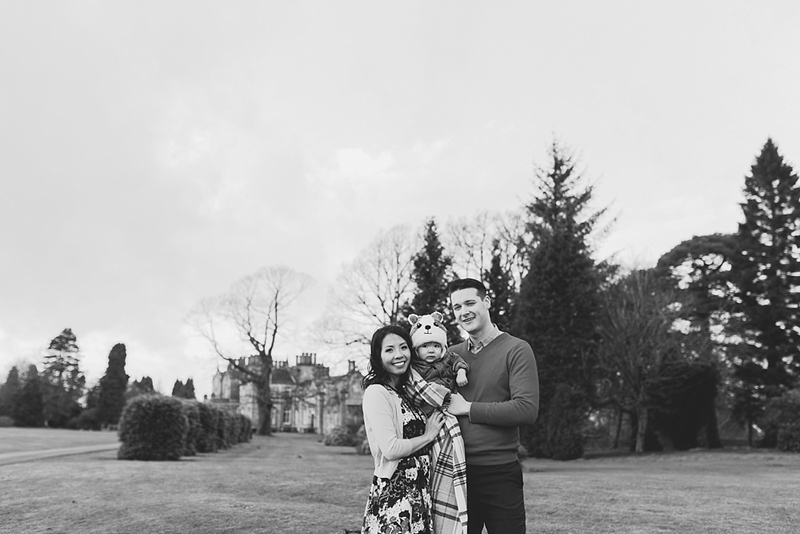 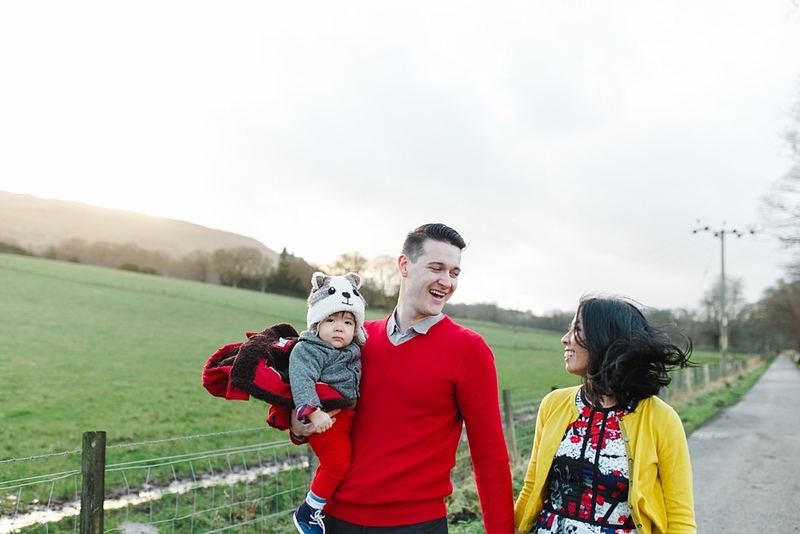 Adore this family shoot we did in Stirling in December so much. 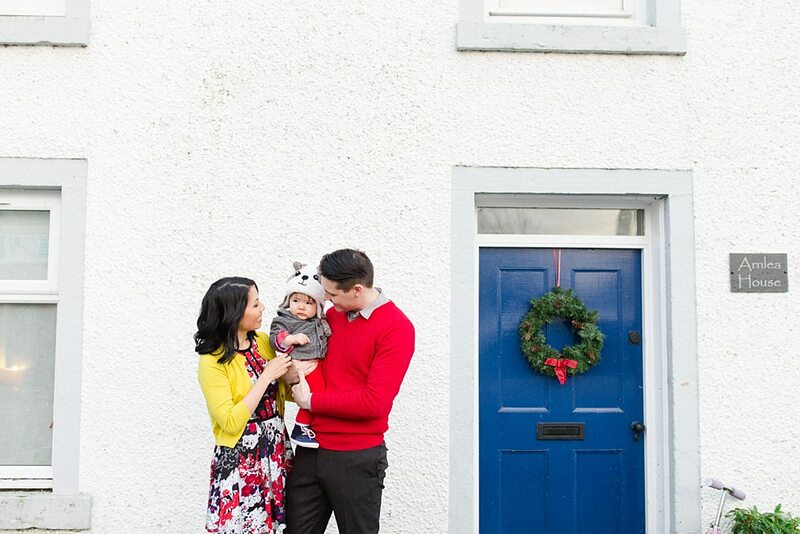 I know it’s the end of April and there are no wreathes or Christmas Tree’s in sight but we got snow yesterday so this Christmassy/wintery post is hardly out of place plus the weather was much better on this day back when it should of been snowing! 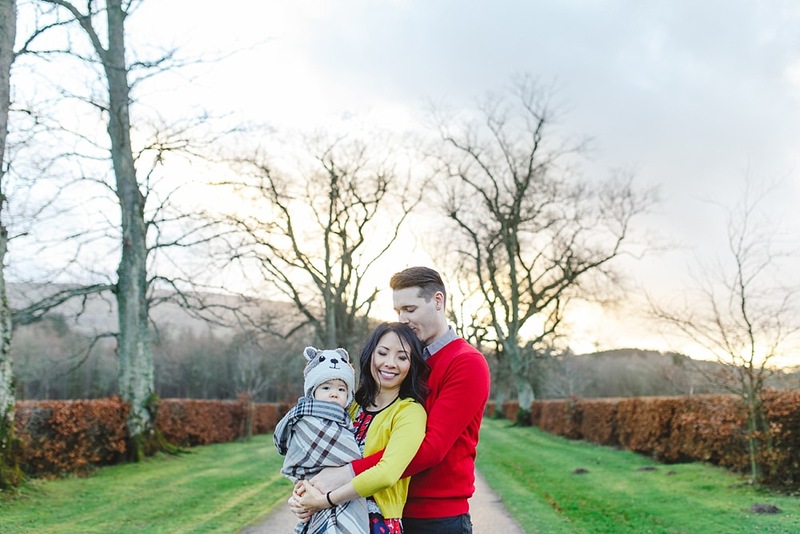 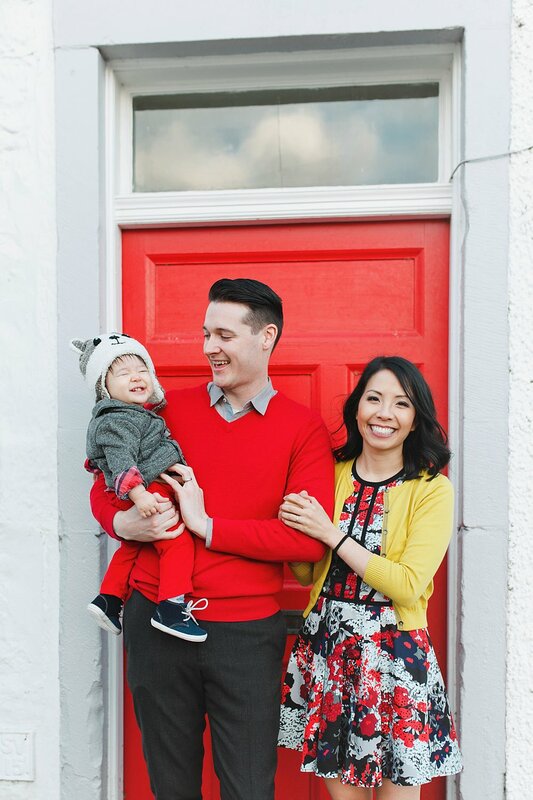 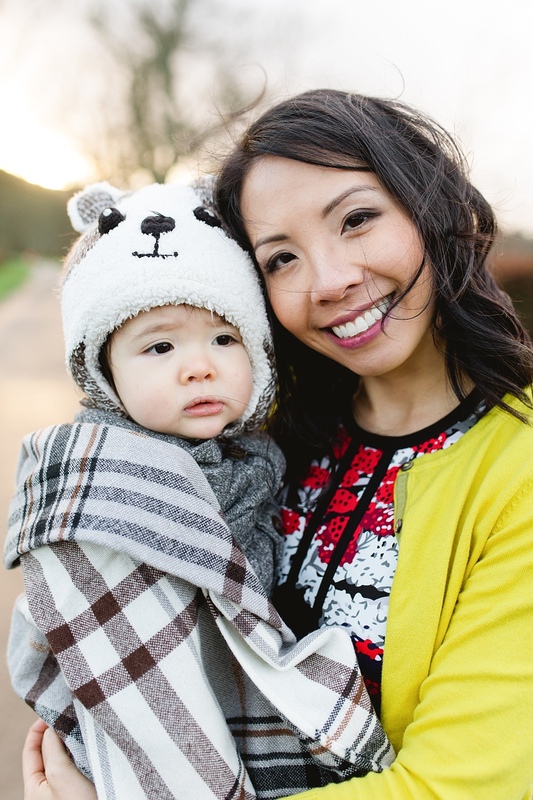 We captured Ming Tam, Stewart’s and their wee gorgeous boys family photos while they were over on holiday visiting family. 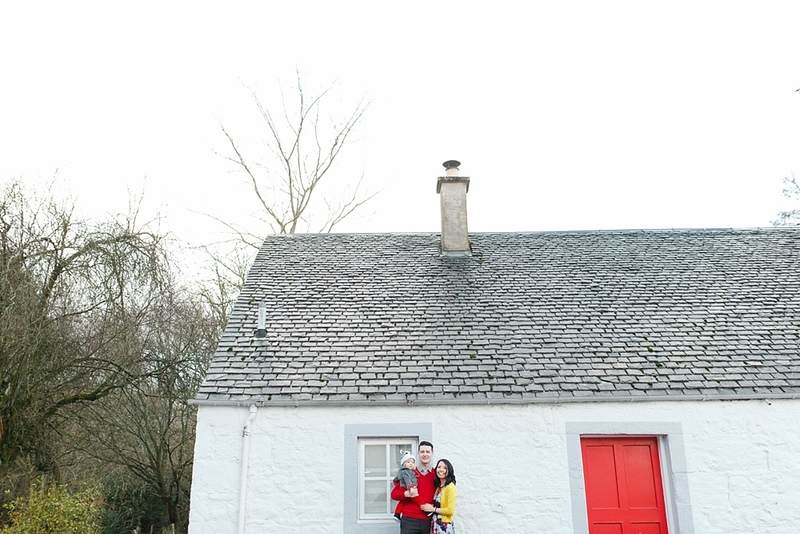 The weather earlier in the day seemed quite grim but as we pulled up to the gorgeous little village of Gargunnock in Stirlingshire the sun started peeking through the clouds and we got some beautiful light. 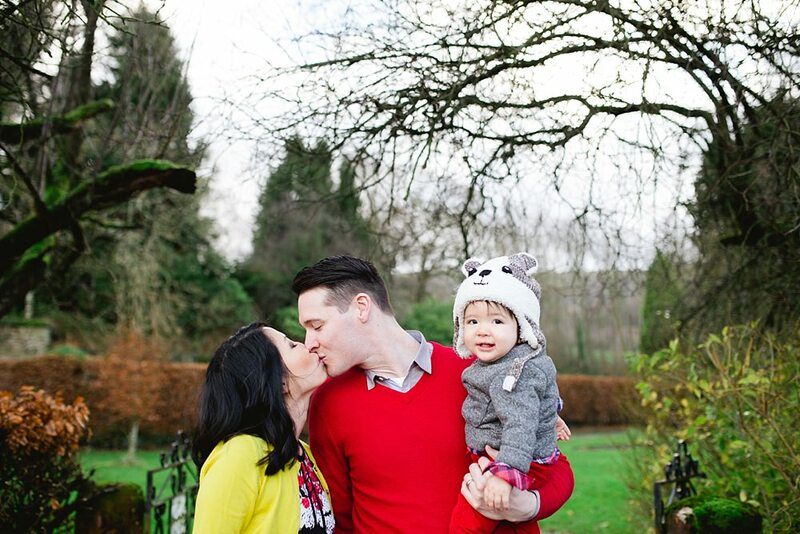 It was not the warmest of days, especially for them since they live in California but they went with it and we got some gorgeous photos of the 3 of them. 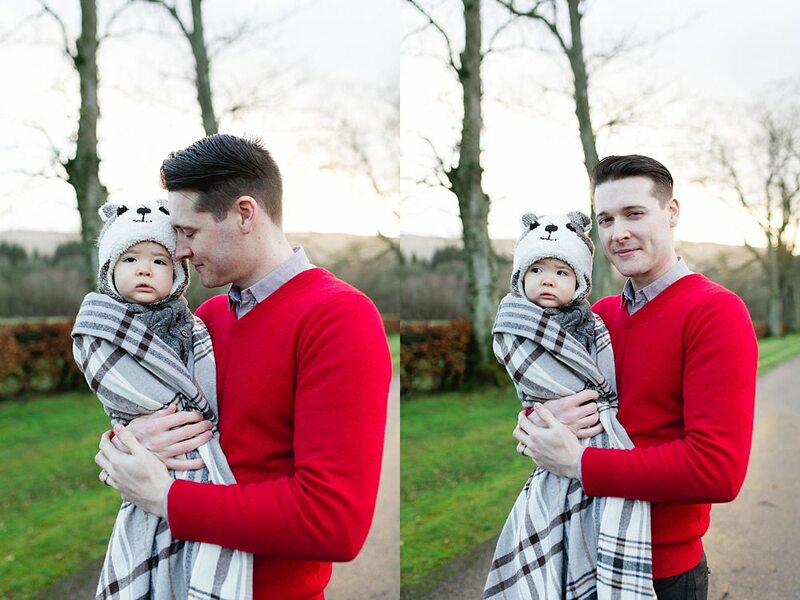 We made sure we wrapped up the wee guy! 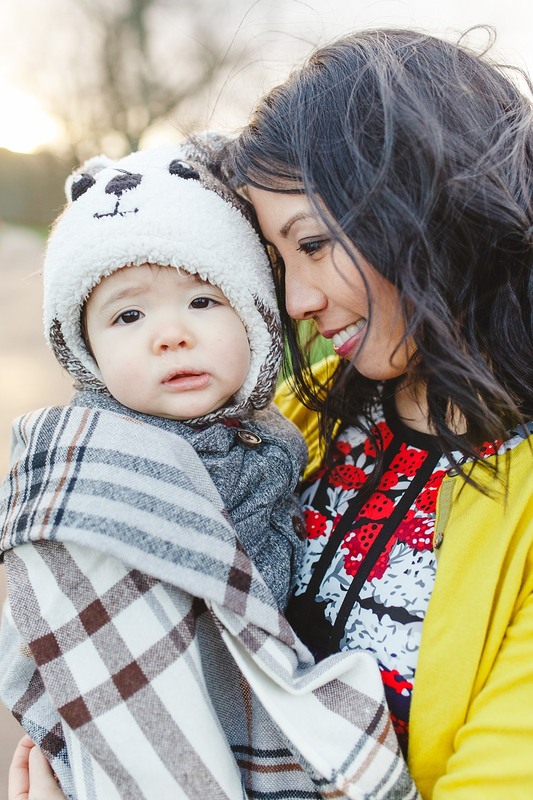 so thankful we keep blankets in the car for shoots. 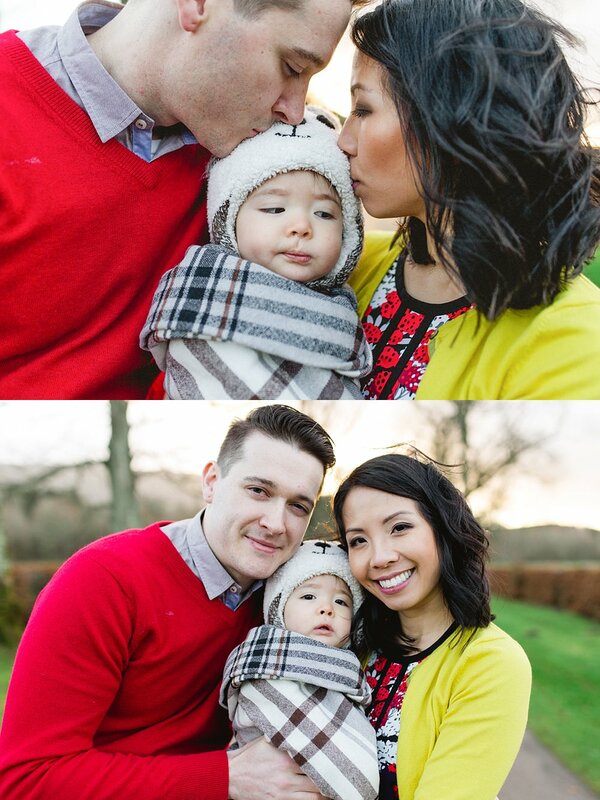 He even liked us enough for Scott to hold him while I snapped some photos of his mom and dad! 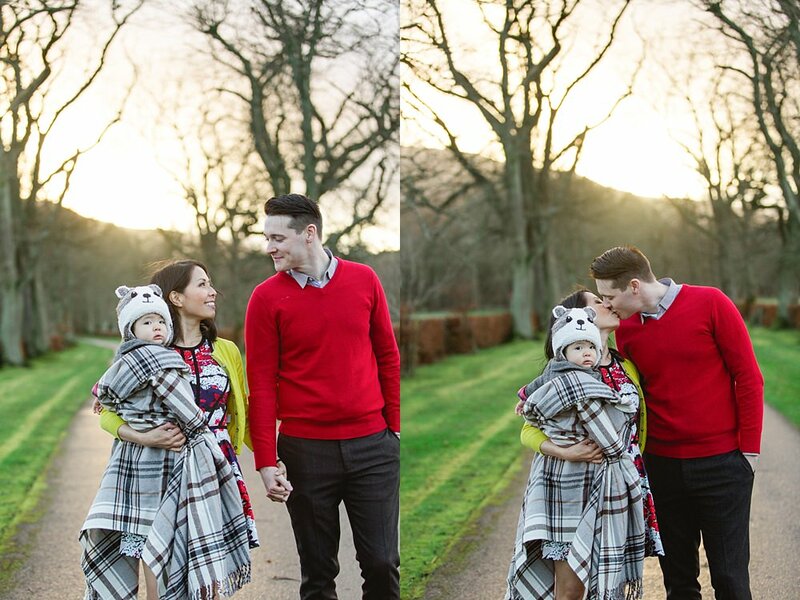 What a wee trouper even with a cold.